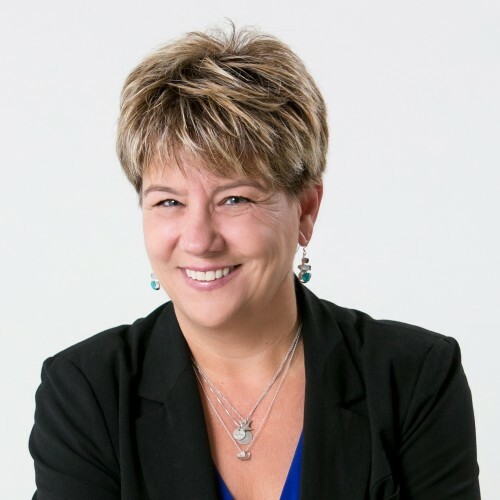 Dr. Kristina Hallett is an Executive Coach, Keynote Speaker, Board-Certified Clinical Psychologist and Associate Professor of Psychology at Bay Path University. She is the author of two international best-sellers: Own Best Friend: Eight Steps to a Life of Purpose, Passion, and Ease and BE AWESOME! Banish Burnout - Create Motivation from the Inside Out. Dr. Hallett has a wealth of experience in speaking, teaching, and clinical practice. Dr. Hallett speaks internationally in several areas of specialty – harnessing the positive power of stress, re-wiring your brain for resilience, communication, self-care, work-life synergy, and becoming your own best friend. Dr. Hallett received her doctorate in Clinical Psychology in 1993 and is a Fellow of the American Academy of Clinical Psychology. She is active in the Leadership Institute for Women in Psychology, the National Association of Professional Women, the American Psychological Association, Global WIN, Dress for Success and the E-Women Network. Own Best Friend : Eight Steps to a Life of Purpose, Passion, and Ease. Are you ready to truly live your rock star life? When stress plays a bigger role in your life than happiness, and when there’s no time for you or the things you love, it’s time to make a change! Do these sound like you? “I feel like something is missing in my life.” “I take care of everyone but me.” “I’m running in place and running out of time.” “I’m just not happy.” “I’m sick of trying things that don’t work.” “When will things get better?” We all have times when we can’t get out of our own way and life gets us down. If you’re finding that you have more of those days than “Woohoo! I’m on top of the world!” days, here’s some great news: it is so possible to feel (and live) better. Dr. Hallett knows exactly what you need. As a clinical psychologist and life coach, she has spent over 20 years helping people to live their best lives. If your day-to-day isn’t all you hoped for, and if you want to let go of stress and live a truly fabulous life, Own Best Friend is the book for you. BE AWESOME! Banish Burnout - Create Motivation from the Inside Out. Revive Your Drive and Motivation. “I know what I should do, I just don’t have the energy or motivation to do it”. “I’ve noticed I’m more irritable, even little things are getting to me” Is this you? You’ve gone from excited about life, your work, and what your future holds to feeling continuously exhausted and struggling to get up in the morning. Every day you promise tomorrow will be different. You will get up on time, exercise and eat healthily. You will get more done and go to bed at a decent time. And then there’s a minor snag, your good intentions go out the window – and you drop onto the couch after work with a cookie in one hand and the remote in the other, thinking "tomorrow…" In this book, Dr. Hallett will show you how to: •Have the time, energy, and motivation to meet your goals •Do more of what you love, with who you love, without guilt •Drop the “shoulds” and discover new opportunities for success •Take the risks you never imagined •Let go of suffering, stress, and anxiety and experience confidence, peace, and joy •And much, much more! The Richard J. Briotta Outstanding Faculty Research, Scholarly Activity, and Creative Works Prize. This award recognizes the work of a faculty member who has published, presented, performed or patented and serves to elevate the profile of Bay Path University, serving as a positive role model for Bay Path students. Find out more about Dr. Kristina Hallett at https://drkristinahallett.org.